For more information, please visit our Training Page! We were abe to greet over 200 visitors and speak to many about our organization and what we are doing in our community. Pictured above is one of our clients who was later interviewed by the sponsors of Anne Arundel and Annapolis Coalition to End Homelessness. After an amazing meeting with the Light House we were invited to come to their Morning Inspiration Breakfast Meeting on Friday, December 12th. We had an amazing time ministering this morning at the Annapolis Light House Shelter! Our President and Founder, Willie Bullock spoke to the residents to give a Word of encouragement as they began their day!﻿ We are excited about this open door and we will continue to walk through each one given! Our President/CEO Willie Bullock gave compelling testimony of his journey through a well-known shelter in the DMV and shared his journey to overcome many odds in his life! The residents related to his testimony and expressed their desire to hear more. They have welcomed us back to share more inspiration in the futur﻿e. ﻿We had the pleasure of volunteering at the Annapolis Salvation Army for Thanksgiving 2014! We assisted with preparation and serving of over 100 families, seniors, and homeless individuals! All were welcome to come a have a meal provided by Boston Market! God truly blessed this beautiful event! Looking forward to our Men on a Mission program doing more next year! To view some of the higlights, please visit us on Facebook! If you would like to donate a Christmas Dinner and/or Christmas gifts for a family, please contact our office today at 410-384-8200 or visit or Donate page for ways to donate! On October 10, 2015, we were provided an informative presentation of the Blackstone Amphitheater for Humanity by Gracelia Blackstone. It was indeed a pleasure to grasp the vision of such a phenomenal project that will change the way we view history and so much more! We are delghted to enter into an agreement with the Blackstone Amphitheater for the Humanity going forward in providing innovative training adn development as well as services to our community that truly enhance and change lives forever! On September 24, 2015, we were afforded the esteemed opportunity to participate in this year's Project Homeless Connect sponsored by the United Way of Central Maryland! We are able to connect with many homeless individuals and families to provide our services in employment and homeless referrals. Our clients were able to have volunteers work with them to develop resumes on the spot and gain a understanding of what a potential employer is seeking in their potential employee! 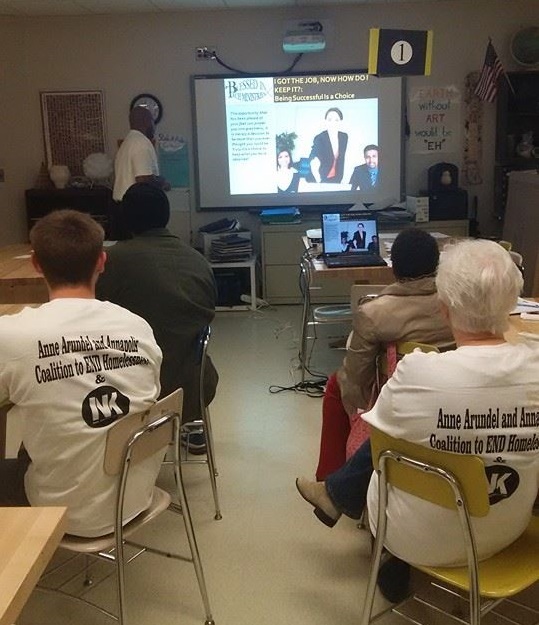 On Saturday, March 28, 2015, Blessed in Tech Ministries was afforded the opportunity to have tables and a classroom to conduct two free Empowerment Seminars! The Empowerment Seminars featured this day were "Preparing for Your Dream Job and Keeping It!" and "Resume Building and Interviewing Skills that Work: Putting Your Best Foot Forward". Both Seminars were well received and attended! We were able to sign up new clients and make new connections this day! Many thanks to Justin Bieler and Christine Poulsen of the Department of Social Services for their hard work and dedication to this wonderful event! 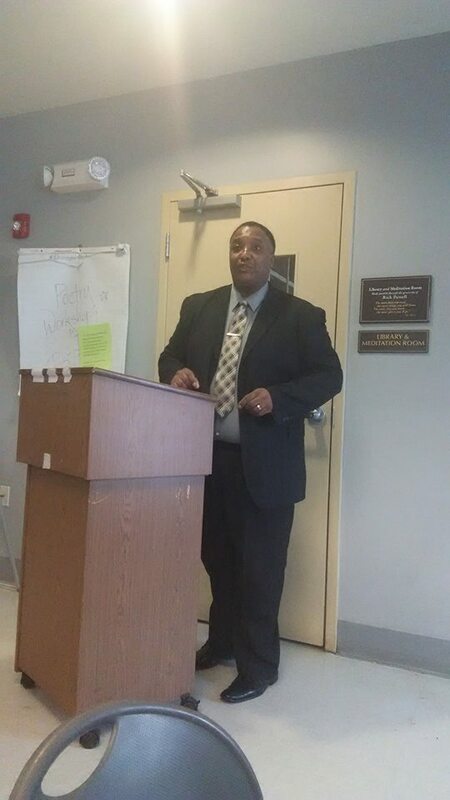 On Friday, February 27, 2015, Blessed in Tech Ministries was afforded the opportunity to speak at the Light House Shelter's Inspiration Morning Breakfast Meeting once again!!! One of our esteemed Board Members, Elder Thurman Gorman, Jr. was our speaker and the residents were truly blessed by his ability to connect and inspire while ministering the Word of God!!﻿! Thank you for helping a Homeless Family of 3 HOME!!! A total of three new clients got jobs this month!!! We are so excited about their future!! For daily information, please visit our FaceBook page! Your generous donation will help make our ventures successful. As we continue to seek funding to continue offering our clients services free of charge, we ask that you consider donating to this worthwhile cause.